Home Food Nature’s First Raw Superfood Can Transform Your Health! 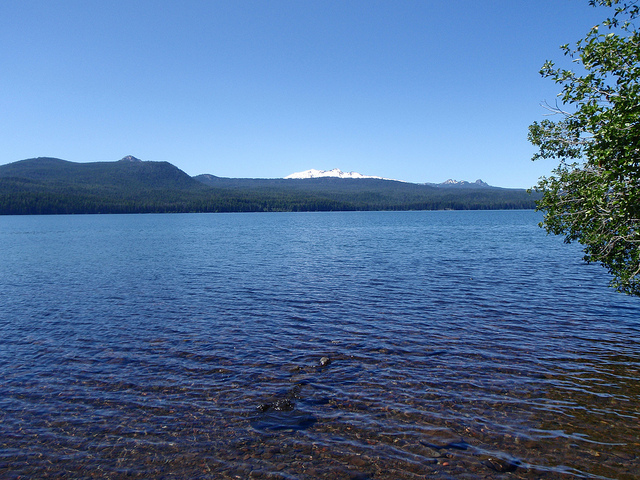 E3Live is harvested directly from this remote mountain lake! How the Oldest & Smallest Form of Life on Earth Can Transform your Health! Life began in the sea 4 billion years ago. Fossil records indicate that the blue-green algae is the most primitive of the 1,000 or so different algae varieties on earth, dating back over four billion years. Blue green algae has managed to survive all that time while millions of other plant and animal species became extinct. What makes blue-green algaes so powerful and amazing for human health is the same super-dense nutrition and energy that we can now harvest and enjoy for maximizing our human potential. In evolutionary terms, blue-green algaes were probably the very first organisms to release oxygen into the prehistoric Earth’s atmosphere. Blue-green algaes are also a missing link – a single cell organism that is part bacteria and part plant in some ways, representing the evolution from plant to animal. 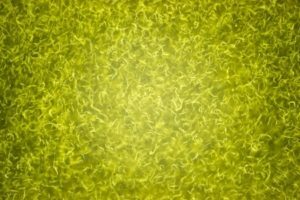 First, blue green algaes can do photosynthesis like plants, but they do it better making them the best sources of chlorophyll – a super food in its own right. Blue-green algaes are similar to animal cells because they have a soft, digestible cell wall made of glycogen, which our bodies can use as a food. Many other plants have cellulose cell walls making them very difficult to digest. So blue-green algae has more bio-available nutrients plus tons of chlorophyll, making them one of the most nutritionally-dense super foods available. And of course, it is also a raw food! 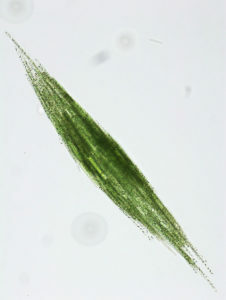 Wild blue green algae (Aphanizomenon flos-aquae or AFA) from Klamath Lake, Oregon is unique even compared to other blue-green algaes. It is one of the only algaes that can be harvested in the wild from the Klamath Lake, one of the richest sources of nutrition in the world. 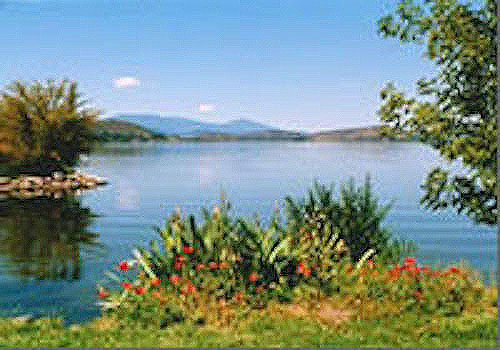 Many other algaes are grown artificially in man-made ponds, but the nutritionally-dense, natural environment of Klamath Lake is impossible to re-create on a farm. So this wild blue-green algae is free of chemicals or toxic pollutants. Because AFA is so pure, it has the most benefits for human nutrition and health. The best source of AFA I know of is e3Live Blue-Green Algae because they carefully harvest their AFA in the wild from the deepest and purest sources on the lake, then quickly flash-freeze the algae and ship it frozen right to your home in 2 days – for free! That makes E3Live AFA the fresh, most natural and most powerful super food you can get anywhere. This is not just my opinion, but is a fact backed by many health experts and a lot of scientific literature (please see my References Tab below). — Dr. Gabriel Cousens, M.D. For most people, the brain is the most under-nourished part of the body. Although it makes up just 2% of your body weight it uses 20% of your energy! Blue-green algae metabolizes molecular nitrogen directly from the air, allowing the biosynthesis of “low molecular weight peptides” that are precursors of the neurotransmitters used by the brain to influence many metabolic functions. Neurotransmitters are a chemical link that lets neurons communicate. The ability of the brain to do all this is highly dependent on the meal you just finished! This is because the ability of the brain to manufacture neurotransmitters is controlled by the amount of amino acids in the bloodstream. Some of the amino acids in blue-green algae have actually been found to cross the blood-brain barrier where they are used to build neurotransmitters and influence other metabolic functions. Although hundreds of times smaller than the cells of the plant or animal kingdoms, blue green algae cells are packed with more nutrients than other foods with much large cellular structures – a total of 64. Blue green algae also contains about 3% nucleic acids, more than any other food! Nucleic acids contribute to the growth, repair and regeneration of cells, enhance immunity, support memory and act as stress modulators. Blue green algae is also high in the same proteins the human body needs for optimum cell growth, repair and nutrition. These proteins are also “glyco-proteins ,” which means they can be used by the body directly with virtually no digestion, making them super absorbable by the body. Next to water, protein is the most abundant substance in a healthy human body. Proteins are made up of amino acids, which are the building blocks of the body. Proteins comprise 90% of the hemoglobin and form the backbone of the body’s immune system. AFA contains more protein than any other organism — plant or animal, including 22 amino acids, 8 of which are “essential,” which means we must get them from food. What is really amazing about blue green algae is that its amino acid profile is almost identical to the amino acid profile of the human body — making it one of nature’s most perfect foods! Chlorophyll is a one of the most important ingredients in blue-algae. It is like the “blood” of the plant, serving a similar purpose to hemoglobin in our blood, which is carries oxygen throughout our bodies. Oxygen is the magic key to live, raw nutrition and chlorophyll is the most important nutrient for increasing the bio-available oxygen in your system. Chlorophyll is also to the proper absorption of amino acids. AFA blue-green algae is the highest known source of chlorophyll. Actual chlorophyll content is dependent on variables like time of year & environmental factors. Vitamins and minerals are essential to human life. They are necessary in small amounts to promote growth and maintenance of your health. They are needed to transform food into energy for the body. However, without minerals, vitamins have no function. AFA blue-green algae contains a complete balance of vitamins (except D and E) and almost every organic mineral in trace amounts. Spending time in the sun provides plenty of vitamin D, and eating high chlorophyll foods lie AFA blue green algae helps your body produce vitamin E.
Beta-carotene is the “pre-cursor” to Vitamin A. Your body converts beta-carotene into Vitamin A. The beta-carotene in AFA is one of the most powerful antioxidants known. It may actually be the most important nutrient for enhancing your immune system. However, the spectacular healing benefits of beta-carotene are require other carotenoids to work. AFA blue green algae contains dozens of carotenoids that can neutralize dangerous free radicals. Leading disease researcher throughout the world have proven in many studies that beta-carotene can lower incidence of degenerative disease. Over 70% of our body is water yet most of drink tap water or bottled water (purified tap water mostly) without a second thought, which contains chlorine, toxic chemicals, bacteria, pharmaceutical drug residues and other carcinogens. You may even struggle daily to eat as much live, organic raw food as you can – yet take what you drink for granted. For a raw foodist, live high pH alkaline water is just as important as live, alkaline-forming raw food! Water is also, of course, necessary for everything from digestion and regulation of body temperature to elimination of toxins and circulation of fluids like blood and lymph. Like most live foods, AFA blue green algae is made up mostly of living, alkaline mineral water which not only zaps its dense nutrition into your body but includes the high energy, electron-rich alkaline minerals and vitamins fund in AFA. Remember, your body needs a minimum of 1/2 ounce of pure water, per pound of body weight, per day, so in addition to eating live, water-rich raw foods be sure to drink plenty of high pH alkaline mineral water – most easily available from a water ionizer, though you can also alkalize water using highly concentrated mineral drops and other related products. VITAMIN B1 – Thiamine 4.70mcg* A protein builder that helps give hair shine, volume and good texture. Enhances circulation to bring nutrients to the scalp and nails. VITAMIN B2 – Riboflavin 57.30mcg* Stimulates health and growth of hair, nails, skin cells. Helps eyes by bringing oxygen to body tissues. Can help eliminate dandruff. May aid in preventing hair loss. VITAMIN B3 -Niacin .065mg* Supports healthy hair, nail and skin by aiding in digestion and improving circulation. VITAMIN B5 – Pantothenic Acid 130.00mcg* Helps produce full, healthy hair and stronger nails by stimulating vitamin utilization and releasing energy from food. With Folic Acid, it can help to restore your hair’s natural color and may aid in preventing hair loss. VITAMIN B6 – Pyridoxine 11.10mcg* Supports the growth of red blood cells that are important for healthy hair, scalp, and nail maintenance. Helps prevent dandruff. May aid in preventing hair loss. VITAMIN B12 – Cobalamine 8.00mcg* Stimulates health and growth of hair, nails, skin cells. Helps eyes by bringing oxygen to body tissues. Can help eliminate dandruff. May aid in preventing hair loss. FOLIC ACID 1.00mcg* Helps maintain healthy hair, nails and skin. May aid in preventing hair loss. With Pantothenic acid, may delay graying of hair. VITAMIN C – 6.70mg* Supports hair and nail growth by improving circulation. Useful as treating dandruff. May aid in preventing hair loss. VITAMIN E – Tocopherol 1.70iu* Key to hair health, nail growth and supple skin by supplying oxygen to the body and improving circulation. Helps combat dandruff. May aid in preventing hair loss. COPPER 4.30mcg* Necessary for healthy hair, stronger nails. An important anti-graying agent. IRON 350.70mcg* Helps maintain healthy hair, nails and skin tone. May aid in preventing hair loss. SELENIUM 0.67mcg* Helps in treatment and prevention of dandruff. Necessary for healthy hair and nails. May also increase the elastic youthfulness of the skin and be helpful in removing age spots. When taken in the natural AFA form of selenomethionine, skin cancer incidence from ultraviolet light may also be reduced. SILICON 186.50mcg* This is a useful raw material for strengthening the human skin. ZINC 18.70mcg* Stimulates hair and nail growth. Aids in preventing hair loss. May help treat and prevent dandruff. BIOTIN 0.30mcg* Helps produce healthy-looking hair and nails. LYSINE 35.00mg* An essential amino acid. Along with vitamin E and iron, lysine helps form collagen, an important skin protein. METHIONINE 7.00mg* Methionine is the rarest of the essential amino acids. Its sulfur content makes it important for skin and nail growth. GLYCINE 29.00mg* Glycine is a nonessential amino acid but has many healing properties. It is used orally and in ointments to heal wounds because skin collagen is a protein that requires high amounts of glycine. PROLINE 29.00mg* A nonessential amino acid and a main component of collagen. Proline is helpful in skin, seems to help in wound healing, as does glycine, because proline increases collagen synthesis. SERINE 29.00mg* Serine is needed in the formation of the phospholipids of cell membranes and contributes to “membrane fluidity.” It is good for the skin and has even been used as a natural moisturizer in skin creams. BETACAROTENE 2000iu* Protects the cell membranes and stimulates the growth of new skin cells. CHROMIUM 0.53mg* Helps with acne. ** These statements are not evaluated by the U.S. Food & Drug Administration. These products, and the information contained at this website, are not intended to treat, cure or prevent any disease. Results may vary. The Blue Green Algae Lifestyle! The Standard American Diet (S.A.D.) is mostly highly cooked, refined, processed, genetically modified and nutrient deficient food. It is virtually impossible to eat and stay healthy on the SAD diet. On top of that, our addiction to pesticides and other chemicals like Monsanto’s glyphosate and Roundup have depleted our farmlands of essential micronutrients and are completely contaminated by pesticides and GMO’s (genetically modified organisms). Today, most people can find glyphosate in their own blood! In raw food all the enzymes, vitamins, minerals, amino acids and other nutrients are fresh, alive and fully intact. The amino acids are in their finest, most digestible form. The minerals, vitamins, trace elements, carbohydrates and life force are all still full of life. Eating organic raw fruits, vegetables, nuts and seeds gives your body living nutrients free from chemicals, antibiotics, pesticides, preservatives or GMO’s. AFA blue-green algae is nature’s richest, most basic raw food. It existed at the beginning of time and has enriched evolution for billions of years, providing all living things with perfect nutrition. Today, blue gren algaes like AFA are the beginning of the food chain – so that all life ultimately depends on them. But now you don’t need a middleman, or secondary source, to get the rich nutrition found in AFA – it can all be found in E3Live Blue Green Algae products – fresh frozen and express shipped right to your door for maximum freshness and aliveness. Make AFA the start of your food chain today! Personally, I highly recommend e3Live Blue-Green Algae. This is the only AFA I know and trust that is live, liquid and delivered to you closest to its natural state. E3Live is harvested by experts from the deepest, most pristine waters of Upper Klamath Lake only at peak times of optimal growth — when the AFA is the healthiest and most vibrant. The benefits of AFA are directly proportional to the quality of the algae source and Klamath Lake is one of the best — assuring you of the most powerful AFA supplements in the world. Jensen GS, Ginsberg DI, et al. Consumption of Aphanizomenon flos aquae has rapid effects on the circulation and function of immune cells in humans. JANA. 2000;2(3):50-58. Qureshi M, Ali R. Spirulina platensis exposure enhances macrophage phagocytic function in cats. Immunopharmacol Immunotoxicol. 1996;18(3):457-463. Hayashi O, Katoh T, et al. Enhancement of antibody production in mice by dietary Spirulina platensis. J Nutr Sci Vitaminol. 1994;40:431-441. Qureshi M, Garlich J, et al. Dietary Spirulina platensis enhances humoral and cell-mediated immune function in chickens. Immunopharmacol Immunotoxicol. 1996;18(3):465-476. Pugh N, Ross SA, ElSohly HN, ElLohly MA, Pasco DS. Isolation of three high molecular weight polysaccharides with potent immunostimulatory activity from Spirulina platensis,Aphanizomenon flos-aquae and Chlorella pyrenoidosa. Planta Medica. In Press. Hayashi O, Hirahashi T, et al. Class-specific influence of dietary Spirulina platensis on antibody production in mice. J Nutr Sci Vitaminol. 1998;44(6):841-851. Kim H, Lee E, et al. Inhibitory effect of mast cell-mediated immediate-type allergic reactions in rats by Spirulina. Biochem Pharmacol. 1998;55(7):1071-1076. Yang H, Lee E, et al. Spirulina platensis inhibits anaphylactic reaction. Life Sci. 1997;61(13):1237-1244. Gustafson K, Cardellina II J, et al. AIDS-antiviral sulfolipids from cyanobacteria (blue-green algae). J National Cancer Institute.1989;81:1254-1258. Boyd M. Protein isolated from blue-green algae inactivates HIV. Antimicrob Agents Chemother. 1997;41:1521-1530. Hayashi K, Hayashi T, et al. A natural sulfated polysaccharide, calcium spirulan, isolated from Spirulina platensis: in vitro and ex vivo evaluation of anti-herpes simplex virus and anti-human immunodeficiency virus activities. AIDS Res Hum Retrovir. 1996;12(15):1463-1471. Hayashi T, Hayashi K. Calcium spirulan, an inhibitor of enveloped virus replication, from a Blue-Green Alga Spirulina platensis. J Natural Products. 1996;59:83-87. Ayehunie S, Belay A, et al. Inhibition of HIV-1 replication by an aqueous extract of Spirulina platensis. J Aquir Immun Defic Syndr Hum Retrovirol. 1998;18(1):7-12. Schaeffer DJ, Krylov VS. Anti-HIV activity of extracts and compounds from algae and cyanobacteria. Ecotoxicology and Environmental Safety. 2000;45:208-227. Mathew B, Sankaranarayanan R, et al. Evaluation of chemo-prevention of oral cancer with Spirulina fusiformis. Nutr Cancer. 1995;24(2):197-202. Schwartz J. Shklar G. Regression of experimental hamster cancer by beta carotene and algae extracts. J Oral Maxillofac Surg. 1987;45:510-515. Schwartz J, Shklar G, et al. Prevention of experimental oral cancer by extracts of Spirulina-Dunaliella algae. Nutr Cancer. 1988;11:127-134. Mishima T, Murata J, et al. Inhibition of tumor invasion and metastasis by calcium spirulan (Ca-SP), a novel sulfated poly-saccharide derived from a blue-green algae, Spirulina platensis. Clin Exp Metastasis. 1998;16(6):541-550. Tokuda H, Nishino H, et al. Inhibition of 12-O-tetrade-canoylphorbol-13-acetate promoted mouse skin papilloma by digalactosyl diacylglycerols from the fresh water cyanobacterium Phormidium tenue. Cancer Lett. 1996;104(1):91-95. Mittal A, Kumar PV, et al. Modulatory potential of Spirulina fusiformis on carcinogen metabolizing enzymes in Swiss albino mice. Phytother Res. 1999;13(2):111-114. Reddy CM, Bhat VB, et al. Selective inhibition of cyclooxyge-nase-2 by C-phycocyanin, a biliprotein from Spirulina platensis. Biochem Biophys Res Commun. 2000;277(3):599-603. Bhat VB, Madyastha KM. C-phycocyanin: a potent peroxyl radical scavenger in vivo and in vitro. Biochem Biophys Res Commun. 2000;275(1):20-25. Vadiraja BB, Gaikwad NW, Madyastha KM. Hepatoprotective effect of C-phycocyanin: protection for carbon tetrachloride and R-(+)-pulegone-mediated hepatotoxicity in rats. Biochem Biophys Res Commun. 1998;249(2):428-431. Romay C, Ledon N, Gonzalez R. Phycocyanin extract reduces leukotriene B4 levels in arachidonic acid-induced mouse-ear inflammation test. J Pharm Pharmacol. 1999;51(5):641-642. Gonzalez R, Rodriguez S, et al. Anti-inflammatory activity of phycocyanin extract in acetic acid-induced colitis in rats. Pharmacol Res. 1999;39(1):55-59. Kushak RI, Drapeau C, Van Cott EM. Favorable effects of blue-green algae Aphanizomenon flos-aquae on rat plasma lipids. JANA. 2000;2(3):59-65. Kato T, Takemoto K, et al. Effects of Spirulina on dietary hypercholesterolemia in rats. J Jap Soc Nutr Food Science. 1984;37:323-332. Hori KG, Ishibashi G, et al. Hypocholesterolemic effect of blue-green alga, ishikurage (Nostoc commune) in rats fed atherogenic diet. Plant Foods Hum Nutr. 1994;45:63-70. Iwata K, Inayama T, et al. Effects of Spirulina platensis on plasma lipoprotein lipase activity in fructose-induced hyper-lipidemic rats. J Nutr Sci and Vitaminology. 1999;36:165-171. Nakaya N, Honma Y, et al. Cholesterol lowering effect of Spirulina Nutr Rep Int. 1988;37:1329-1337. Vlad M, Bordas E, Caseanu E, Uza G, Creteanu E, Polinicenco C. Effect of cuprofilin on experimental athero-sclerosis. Biol Trace Elem Res. 1995;48(1):99-109. Becker E, Jakover B, et al. Clinical and biochemical evaluations of the alga Spirulina with regard to its application in the treatment of obesity: a double blind cross-over study. Nutr Rep Int. 1986;33:565-574. Takai Y, Hosoyamada Y, et al. Effect of water soluble and water insoluble fractions of Spirulina over serum lipids and glucose resistance of rats. J Jap Soc Nutr Food Science. 1991;44:273-277. Kushak R, VanCott E, Drapeau C, Winter H. Effect of algae Aphanizomenon flos-aquae on digestive enzyme activity and polyunsaturated fatty acids level in blood plasma. Gastroenterol. 1999;116:A559. Parada JL, Zulpa de Caire G, et al. Lactic acid bacteria growth promoters from Spirulina platensis. Int J Food Microbiol. 1998;45(3):225-228. Shastri D, Kumar M, Kumar A. Modulation of lead toxicity by Spirulina fusiformis. Phytother Res. 1999;13(3):258-260. Kapoor R, Mehta U. Supplementary effect of Spirulina on hematological status of rats during pregnancy and lactation. Plant Foods Hum Nutr. 1998;52(4):315-324. Valencia A, Walker J. Amulti-axial treatment paradigm for mild traumatic brain injury to achieve reparative functional metaplasticity. 3rd World Congress on Brain Injury, IBIA, Quebec City, June 1999. Drapeau C, Kushak RI, Van Cott EM, Winter HH. Blue-green alga Aphanizomenon flos-aquae as a source of dietary polyunsaturated fatty acids and a hypocholesterolemic agent in rats. J Am Chem Soc. In press. Originally published 2012. Updated 2017.